I am embarrassed to admit that when I read a book education I find that first I look to see if I am mentioned or a book I wrote is included. And then I look for Ted Sizer in the appendix or bibliography. And then Seymour Sarason. And then… etc. I am frequently disappointed. And even more so after coming back from the Coalition of Essential Schools’ annual Fall Forum. This time it was in San Francisco, and next November it will be in…. Portland, Maine!!! Since the Coalition isn’t rolling in money these days attendance is down—no one gets paid to go. But the sessions are always great—led by working teachers. And Pedro Noguerra gave an excellent rousing keynote. So, here are just a few of the people I recommend: Read Sizer’s Horace’s Compromise (plus the two that followed) if you want to know what we once meant by standards, and what real reform of high schools looks like if we put the ten CES principles into effect. Seymour Sarason wrote many books, all are my favorite. But I am planning to reread The Predictable Failure Of Education Reform: Can We Change Course Before It’s Too Late? He died many years ago, but it is hard to believe since everything he wrote is so applicable today. Another good person to read is Larry Cuban who has a wonderful blog. Then there is Mike Rose whose first book Lives on the Boundary is still the one I wanted every teacher to read when I started the last two new schools, and whose Minds at Work is the best I have ever read on “vocational” education. And of course, I wrote a few—worth reading The Power of Their Ideas and In Schools We Trust for the story of two innovative schools that go back a long long way. I got one in the mail today! American Classrooms, Portraits From a Public School in Harlem, by Darren Marelli. It’s the story of P.S. 241 but also called The Family School, which was started by a former colleague of mine and which had a brief and glorious beginning—and a sad ending under Bloomberg. 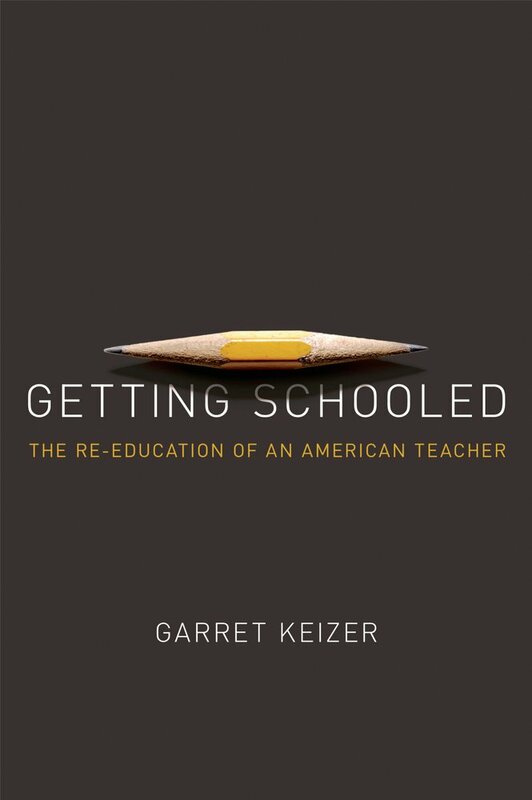 Getting Schooled, The Reeducation of an American Teacher, by Garret Keizer. The tale of his one-year return to the classroom in Vermont. He “gets it,” I wish he would have stayed longer. It resonated with my experience in urban schools—which was useful and pleasing. 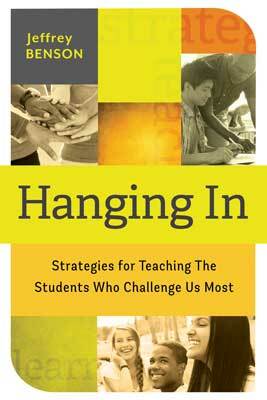 Hanging In: Strategies for Teaching the Students Who Challenge Us Most, by Jeffrey Benson. Thirteen chapters, one each on a student he found intriguing. And so did I. 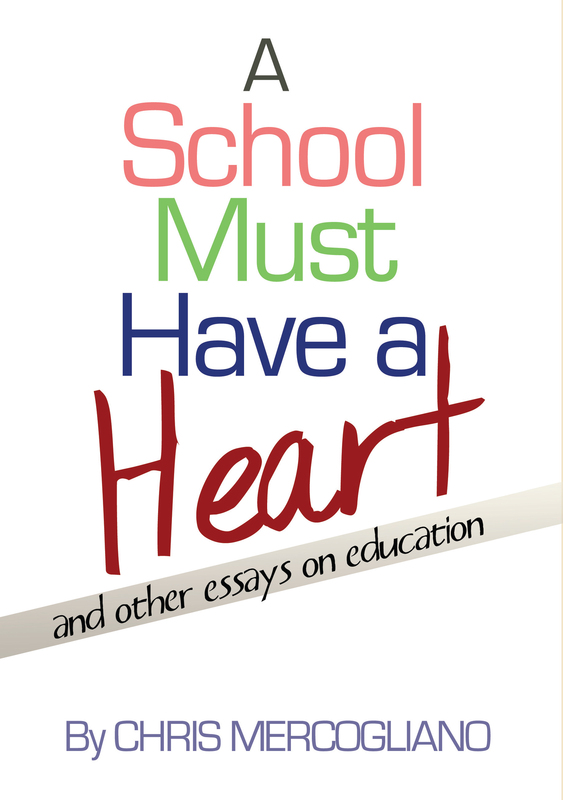 A School Must Have a Heart and other essays, by Chris Mercoguano. I have been intending to visit the Albany Free School—an old-timer in the world of very free-loving schools and allied I many ways with secular home-schooling a la John Holt (whose work you MUST MUST read.) But Chris has given me a wonderful glimpse into the life of the school that convinces me I definitely should visit. 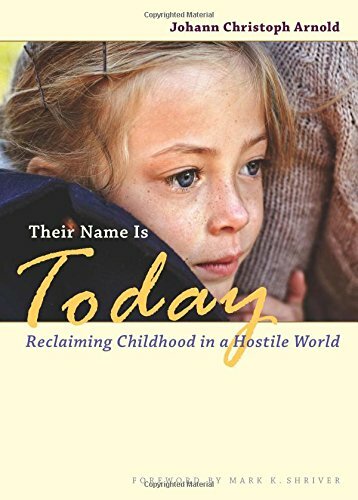 Their Name is Today: Reclaiming Childhood in a Hostile World, by Johann Christopher Arnold. This was sent to me by my favorite business, Community Playthings. I am having a hard time visiting kindergartens—even PreKs—these days with all the seat work and teacher directed activities. So while I am not sure whether Arnold is a working teacher, I am listing it anyhow. Yo Miz By Elizabeth Rose. 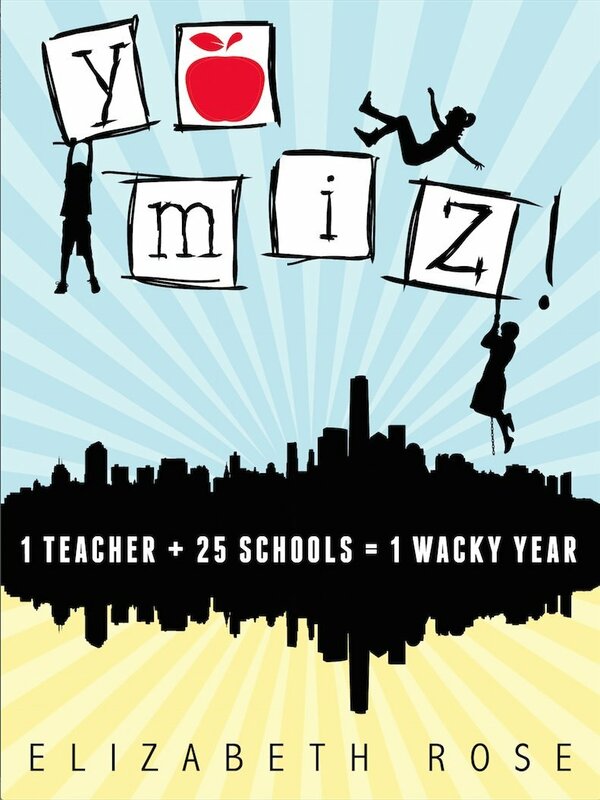 A fast and interesting glimpse at the 25 schools that the author worked in when she was an ATR (an unassigned teacher). More next week. I may deviate even further them. 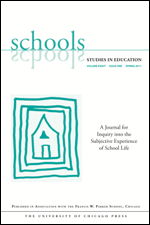 Also, subscribe to a fine little magazine called Schools: Studies in Education, published by the University of Chicago Press in association with the Francis W Parker School. It has the kind of accounts that one rarely finds other places, including, for example, occasional archival pieces that remind us that this is long and old struggle. The spring issue had two pieces, one by Robert Hampel who wrote The Citadel on the Hill while working with Ted Sizer’s study of American high schools 30 pus years ago and the other by Paul Diederich in 1945. Both are entitled Simplifying a Crowded Schedule. One of my favorite “young” writers and teacher/director, Elijah Hawkes, frequently writes for them too. Finally, just a word about one of my favorite high schools—June Jordan in San Francisco. I have been visiting them since their first year—more than a decade ago. I visited this year too. California is not as far into the worst of the madness this time which may help. But it is another reminder of what real grit is. That word drives me crazy because if there is one thing that the kids “at-risk” display, it’s grit. Not entirely out of choice. And so do the teachers at places like June Jordan. Howard Fuller’s “No Struggle, No Progress: A Warrior’s Life from Black Power to Education Reform,” is very much worth reading. It describes an African American activist’s life in several states, in many roles, including serving as Milwaukee District Public Schools Supt and founder of Black Alliance for Education Options. I don’t agree with his advocacy for vouchers but I agree with him about public school options. See you in December, I hope. Adding a few more things to the shopping cart – my bedside table might soon collapse, but I do appreciate this! !